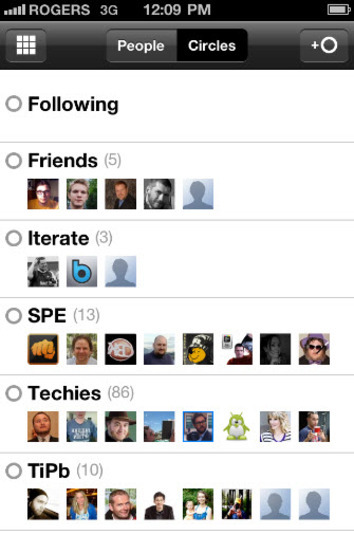 2011 has been another great year for iOS apps. Despite the fact that Apple’s mobile platform fell behind Android in overall popularity this year, innovation in iOS development is better than ever. The Apple operating system is still where cutting edge applications are born, and this year’s launch of iOS 5 and the iPhone 4S device have fueled app developer’s imaginations even more. Here’s our pick of the best iPhone and iPad apps of 2011, based on what impressed us out of the hundreds of new apps we tested this year. 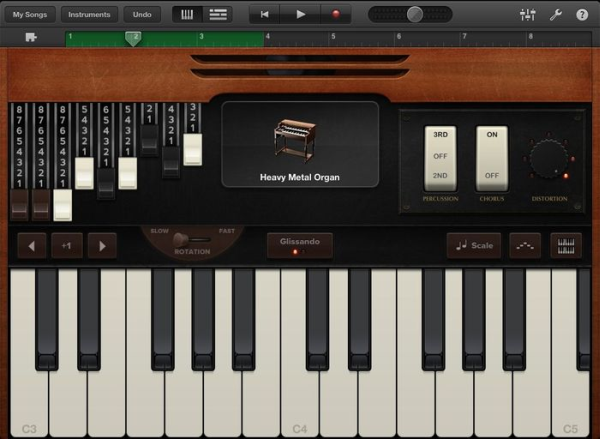 For me, Garageband is the most accomplished iOS app of all time. It allows you to create impressive musical compositions without any technical know-how, through an interface that’s effortless to navigate. The software’s Smart Instruments, including piano, bass, guitar and drums, serve to help you create music that sounds like it’s been played by a pro. First released alongside the iPad 2 in March as one of the flagship apps for the tablet, this music-making app has since found its way onto the iPhone, too. As with Garageband, iMovie is another piece of Mac software that makes the transition from desktop to handheld really well. The app makes smart use of the multi-touch gestures to allow you to add videos, photos, music and sound effects, and piece them together. 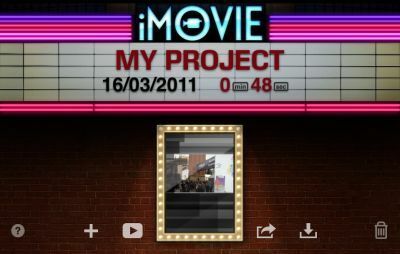 You can choose to add footage from your camera roll, or capture video directly through iMovie. The results can then be shared via YouTube. 2011 was the year Google launched a new kind of social network to take on Facebook. Google+ for iPhone offers a fast and easy way to connect to your account and share stuff with your contacts. Google+’s approach of using circles to organize contacts means you can filter the groups of people who can see certain things that you post. If you haven’t tried Google+ yet then install this app! We spent a lot of time clay modeling this year but luckily no carpets got dirty here at Softonic Towers, since it was all done through 123DSculpt. This 3D modeling app allows you to create impressive models through its unique touch controls. 123D Sculpt is simple on the surface, but with practice there are very impressive things that can be done. The common commands like modeling, flattening, and distorting the models are present. There is also an image import option, and textures such as hair, faces, tattoos, and more. My Xbox LIVE is an essential app if you’re an Xbox LIVE user. It connects you with your gaming accounts from your iOS device, allowing you to access your profile, message friends, change your avatar, and more. 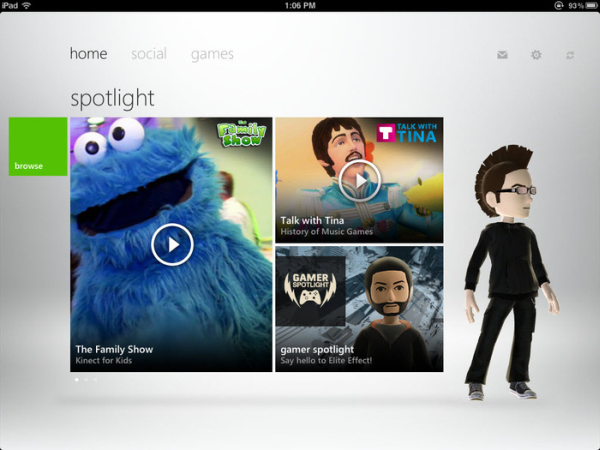 My Xbox LIVE shows the recent games played, Gamerscore, and friends lists. Composing messages is easy and since it connects through the Xbox LIVE service, it is simple to schedule online multiplayer directly with your Xbox LIVE friends. Free messaging and chat apps for smartphones are everywhere these days. Instead of the well-publicized, Viber, which was released earlier this year, we’ve picked out Voxer for inclusion in the top ten iOS apps of 2011 list. This walkie-talkie-style app is a lot more fun than using Viber, allowing you to send voice messages to another user, as well as text and photos. If you’re fed up with the YouTube iOS app, then you should try out Vimeo. The application lets you browse all the videos from the popular site by searching or by category. The best part of the Vimeo app though is the video creation and editing part. Not only can you grab video from your iOS device, but you can then cut it, and other clips and even add text and soundtracks, before you upload it to Vimeo. We tried Qwiki out back in September at Pitch San Francisco and the app has gone on to win many fans among users and reviewers. Qwiki is great for researching places, people and things, allowing you to listen to an audio explanation of each topic, as well as viewing images and reading text. This rich multimedia experience is a great way of learning. Qwiki is like having a more up-to-date version of Microsoft Encarta CD-ROMs in your pocket. Offering a better selection of TV shows and movies than Hulu, HBO GO serves up all your HBO favorites on your iOS device. To use HBO GO, you need to create an online account and link it to your overall HBO subscription. 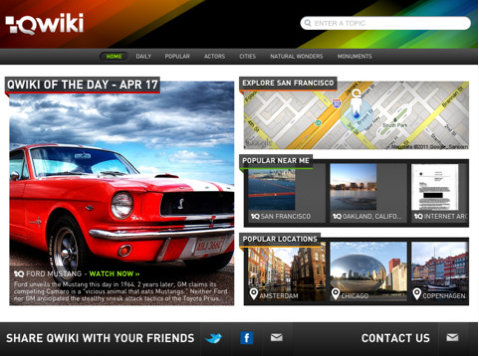 From there, you can browse through over 1,400 TV shows, movies, or even sports. If you’re a big public transportation user, HBO GO is ideal. Never miss another episode of Game of Thrones or True Blood again! You won’t find it on the App Store, but if you have an iPhone 4S then Siri will probably be your new best friend. This pre-installed app is the most revolutionary personal assistant tool available for smartphones today. 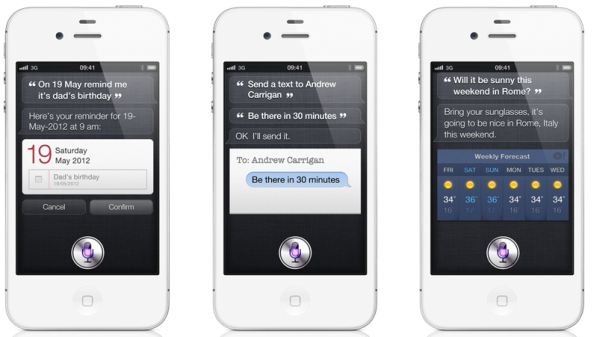 Whether you want to call someone, access your calendar, send an email, or search the web, just speak your order into your iPhone and Siri will obediently carry out your commands without a grumble.